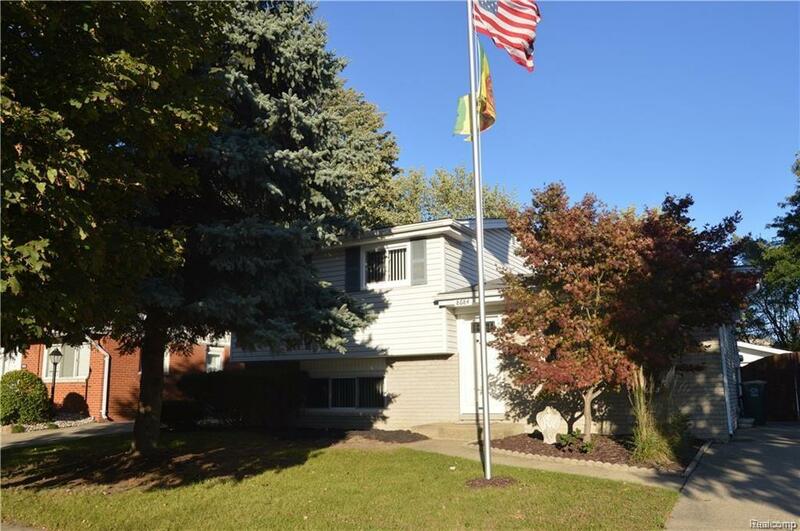 Well maintained 3 bed 1.5 baths in an established Canton subdivision. Maintenance free exterior w vinyl and brick. Open concept first floor remodeled to include granite counter tops hickory floors and cabinets. Cabinets include large pantry w pullout drawers and built in lazy susan. Gas stove w convection oven and downdraft, refrigerator w ice/water dispenser, dishwasher, trash compactor and garbage disposal. New doorwall installed in 2018 leads to a large fenced yard w newly stained cedar wood fence. Interior also boast a fully renovated main bathroom w high end finishes including ceramic floors, granite and marble finishes in spa like shower w rainfall shower head, marble seat jets to sooth your aches after a long day and vanity with tri-fold mirror for plenty of storage. 1/2 bath renovated with New vanity, new vinyl flooring and has plenty of storage. Partially finished Basement includes a bonus room for rec area, music room or extra bedroom with plenty of storage. Move in ready!